Posted on October 11, 2017 at 6:18 am. The challenge of owning a heating and cooling system does not end after you purchase the unit. You have a greater challenge ahead of you- the installation process. No matter how good your HVAC unit is, if not properly installed, it will do you no good. 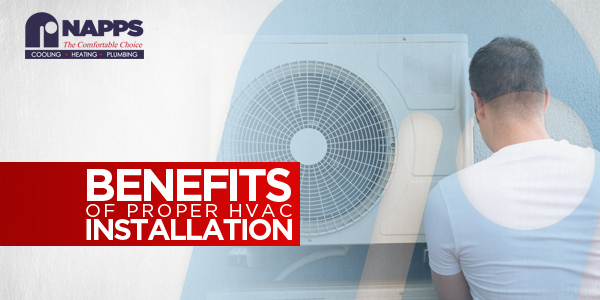 Here are the reasons why proper installation is a must for HVAC units. It ensures the quality and performance of your unit. A properly installed heating and cooling system can guarantee excellent and efficient performance. It is not just the performance that is compromised when the installation fails. Even the unit itself can be subjected to wearing and tearing. If your unit is not in the right position, it may cause strong vibrations when the system is in use which can affect the components inside. Installing your system correctly will give you reasonable energy bill since there’s no wasted energy. Your unit will function at peak performance so expect a smooth and efficient operation. If not installed properly, your system may take too long to heat or cool your home which means greater energy usage. If your heating and cooling system is poorly installed, it is more prone to problems which can lead to frequent repairs. Chances are, your system will freeze up, cause individual parts to fail and condensation may leak out to your home and cause great discomfort. Why hire only licensed HVAC professionals for system installation? To ensure that your system is properly installed, call only licensed heating and cooling professionals. They are the right persons to whom you should put your trust for your HVAC systems’ maintenance and installation. Aside from keeping the systems in place, they also secure your home and family’s safety against any mishaps due to poor system installation. It’s true that you can save money from bargain technicians, but services rendered can be inefficient and may cause problems to your system. Licensed HVAC experts guarantee proper installation as well as system maintenance. It may cost you upfront, but the service is certainly worth it in the long run. 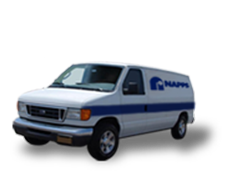 At NAPPS Heating and Air Conditioning, we understand the importance of proper HVAC installation, so we assure you that only the highly-abled hands of our licensed experts will touch your deeply cherished investments. Why Use An Air Cleaner Or Purifier?